We’ve created a secondary tanning ledge option for clients who prefer a curved, radius layout. This is quite similar to our Scottsdale Tanning Ledge and even has the same depth: 1′. 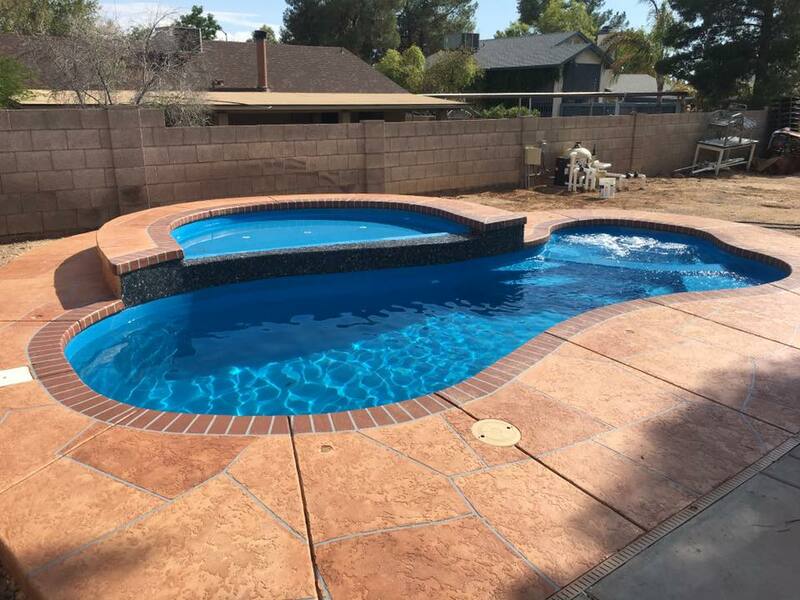 The best part about this design; it works with nearly any of our fiberglass pool options! 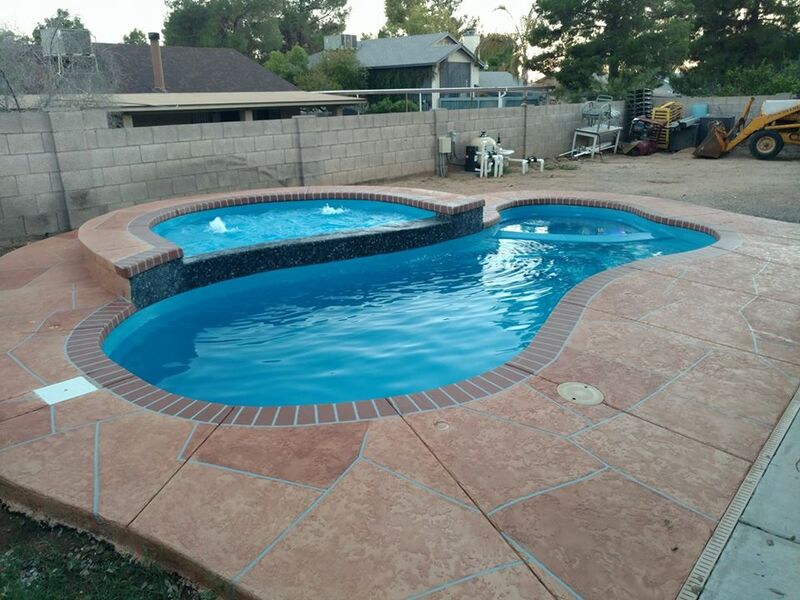 At San Juan Pools, we strive to develop the best fiberglass swimming pools and spas available. In order to be the best, we need to have the widest selection to choose from. Therefore, we’ve developed two tanning ledges that are great add-on features for many of our fiberglass swimming pools! For starters, we’ve introduced our Scottsdale Tanning Ledge for clients who want a rectangular tanning ledge. Next we’ve developed this model; the Round Tanning Ledge. The Round Tanning Ledge has a unique shape that is 10′ 6″ long by 6′ 4″ wide. It’s not a perfect circle, but rather an oblong layout. Similar to our Scottsdale Tanning Ledge, the Round Tanning Ledge offers a 1′ deep basin. It is a flat bottom design all the way across the ledge. This is a consistent depth that is perfect for pool furniture, such as a Ledge Lounger or other water approved furniture. 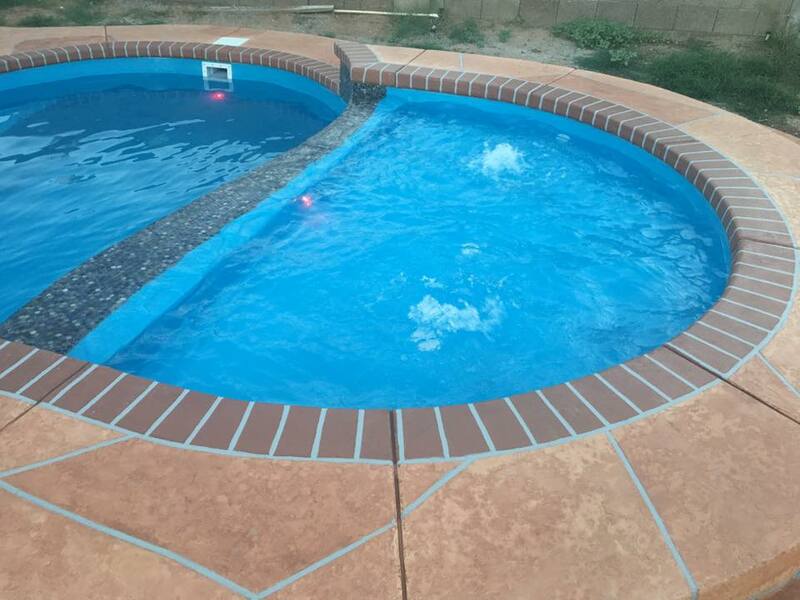 The Round Tanning Ledge can be installed a few inches or feet above your fiberglass swimming pool. By elevating this tanning ledge above water level, you can create a unique spillover water effect. Allow the water to gently cascade over the tanning ledge and into your swimming pool basin. By doing so, you’ll create a relaxing oasis that trickles and relaxes the mind from its soothing sound effects. In conclusion, the Round Tanning Ledge is a beautiful water basin that enhances your outdoor living space. It’s a great add-on to many of our fiberglass swimming pools and provides the perfect space for relaxing outside with friends and family. In addition to its unique shape, the Round Tanning Ledge provide the perfect depth for your outdoor pool furniture. With a maximum depth of only 1′, the Round Tanning Ledge is also a fun play space for parents and their young swimmers. You’re bound to enjoy this outdoor recreation space for the play and relaxation that it offers. 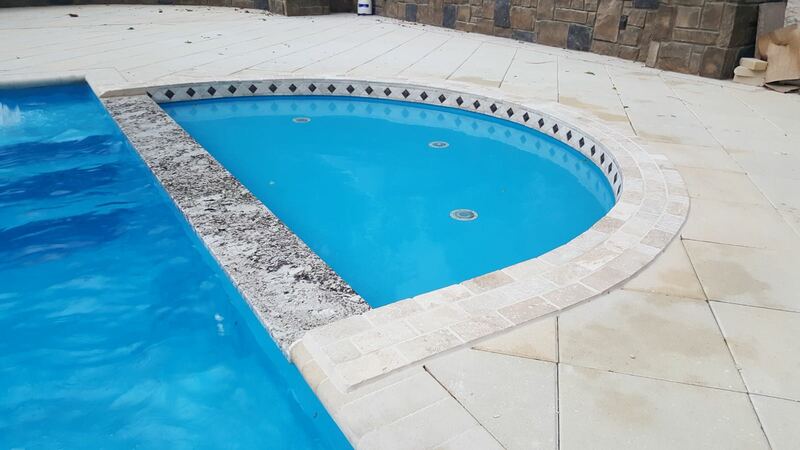 We highly recommend the Round Tanning Ledge to our clients and can add it onto your next fiberglass pool order!